IRAN-FRANCE announce environmental agreements - IRAN This Way: Become familiar with Iranian lifestyle! Iran and France have agreed to carry out joint projects toward the enhancement of environmental issues in both countries. 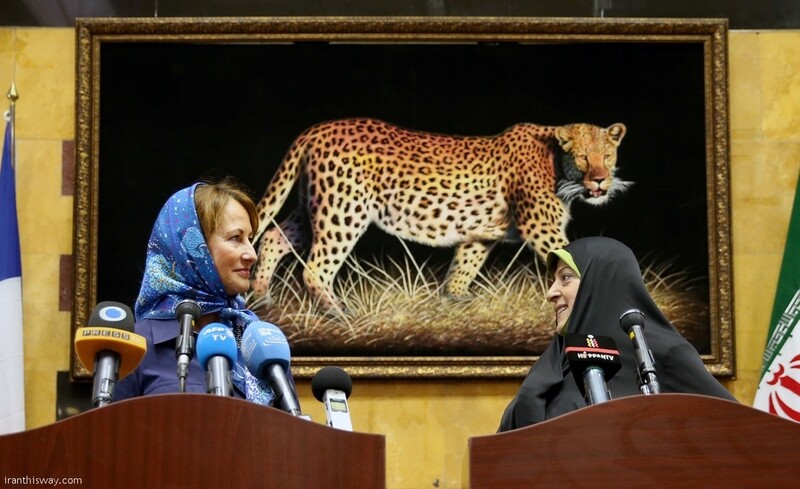 Masoumeh Ebtekar, Iran’s vice president and head of the Department of the Environment (DoE), said on Sunday that she had reached an agreement with visiting French Environment Minister Segolene Royal on a number of joint projects addressing energy, water shortages and pollution. In a Sunday meeting, the two officials agreed to establish several key partnerships on environmental issues by February 2017. Ebtekar, who is also a vice-president of Iran, said the visit “shows the important international cooperation on the environment, and sends a strong message to the global community that countries can cooperate strongly on their shared interests and issues in the field of environment,” AFP wrote. Royal, who came to Iran on Ebtekar’s invitation, had arrived in the Iranian capital on Saturday. “Several highly operational subjects were discussed,” Royal told reporters, AFP wrote. The French minister is travelling for three days with senior business figures from environmental and renewable energy firms specializing in water, pollution and energy efficiency – including the boss of multinational Engie firm. “They were chosen by Iran on the basis of the challenges they face,” said Royal. Royal said she would return in February to discuss progress on the partnerships. On Monday, she is due to visit Iran’s largest saltwater lake, Orumieh in northwestern Iran, a UNESCO heritage site that has lost 90 percent of its surface water in the past two decades as a result of over-farming, dams and climate changes.